Mobile app development is a hot skill. With more and more people opting for it, there is a dire need to choose the most in-demand mobile technology. Looking at the popularity and demand for Apple’s iPhone, iPad and iPod, it is safe to say that a career in iOS Development is a good bet. Experienced as well as entry-level professionals are entering the world of iOS Development as there are immense job opportunities that provide good pay package and even better career growth. A new survey of mobile app developers by VisionMobile also shows that iOS is the right technology to spend your time and money on. Swift – XCode is the development studio for creating Apple-based programs and apps. It’s free to download and can be very helpful if you become proficient in it. XCode – Swift is Apple’s programming language for iOS Apps. Learning the fundamentals of programming is the foundation for building apps. Frameworks – Being familiar with important frameworks makes the life of an iOS Developer fairly easier as it allows you to reuse code written by other developers in your apps. 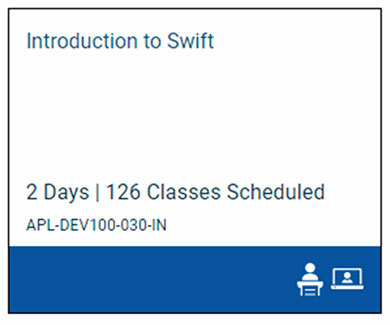 We are excited to offer three Apple Authorized training courses that help students master native app development using Swift. In the 16 hours course for Introduction to Swift, students learn the foundations of the Swift programming language, including syntax, logic, structures, and functions. The 24 hour Introduction to the iOS SDK teaches students how to build and run Swift-based apps for both iPhone and iPad through hands-on activities and coding exercises. 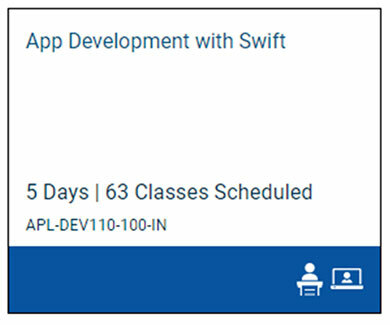 For a comprehensive learning experience, select the 40 hours App Development with Swift course, which covers all content from the previous two courses. With Apple Authorized Training Programs we provide opportunities to students in colleges to build apps that will prepare them for careers in software development and information technology. Created by engineers and educators at Apple, the “App Development with Swift” course teaches students how to build apps using Swift, an open source programming language that emphasizes safety, performance and modern software design patterns. The course takes students with no programming experience and enables them to build fully-functional apps of their own design. With huge current job openings for Apple Developers, Delphi Computech has aligned on a workforce development plan that empowers college students to take advantage of these new business opportunities. We provide unique benefits to Colleges that use Apple professional applications in their academic curriculum. Apple’s curriculum is scalable to the needs of an educational institution within a semester-length course. The Apple program provides the opportunity for colleges to offer students not only a proven curriculum, but also the additional benefit of Apple Certification. Apple Certification can jump start your students’ futures and distinguish them as a professional-level user of Apple’s professional applications. The use of Apple hardware, software, and services is a growing choice for individuals and organizations. The mobile revolution, and the introduction of Apple’s popular mobile products, enables companies to increase efficiency and significantly reduce costs. Additionally, Apple’s iPad allows for the creation of customized apps that can be developed for businesses. It is becoming increasingly important for IT teams to be able to support iPads in the office, and for developers to be well trained in the development of iOS apps. Delphi provides Apple training in the region, with courses in OS X support and iOS development training for developers working with iPad and iPhone applications. Whether you are looking to understand how to use your new Apple product, or more interested in becoming an IT expert in Apple technology, New Horizons has the training you are looking for. Apple OS X training from Delphi takes you deep into Apple’s latest operating systems so that you have the skills to confidently support OS X Yosemite installations. 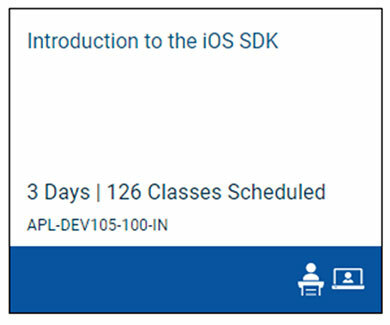 The Apple iOS training provided by Delphi will teach you how to create iOS apps for iPad and iPhone in an interactive, troubleshooting environment. iPad Support training at Delphi will show you how to make the most out of your iPad and the best ways to integrate your iPad into workflow to help with productivity. We also offer training aimed at help desk professionals who support iPad devices and end users. We offer two hour seminars to teach users how to fully understand and make the best use of their iPads. These seminars are available as private classes so you can customize them to work best for your team. The purpose of the Apple Certified Trainer program is to verify that individuals who teach Apple’s curriculum have the instructional skills and technical proficiency to successfully deliver training to Apple customers and developers. Certified Trainers will deliver Apple-developed curriculum in Apple classrooms, at Apple Authorized Training Centers, or at an Apple customer site as defined by Worldwide Customer Training. Ability to teach Apple training courses—Once you are certified to teach an Apple training course, you can teach that course in an Apple Training Facility, which includes Apple classrooms, Apple Authorized Training Centers, or onsite at an Apple Customer location, subject to the terms and conditions of the agreement. Access to trainer and student materials developed by Apple—Each Apple training course comes with trainer materials and a comprehensive student guide. The trainer materials give you step-by- step directions for delivering the course you are certified to teach. The student guide provides the students with clearly stated objectives for each module, exercises to practice the learned skills and concepts, and summaries to reinforce learning. Use of Apple Certified Trainer logo—The Apple Certified Trainer logo identifies you as an Apple Certified Trainer. Specialized support and communications—You have access to internal Apple training experts who can help you with questions or concerns regarding the curriculum, exercises, and setup requirements of the course(s) you are certified to teach. Tuition discount—After becoming an Apple Certified Trainer, you can attend additional Apple Training courses at 50 percent off the tuition price. Discount on certification exams—When you attend the course(s) you want to teach, you receive a coupon that entitles you to 50 percent off the price of the associated certification exam. Exams are administered at Prometric Testing Centers.